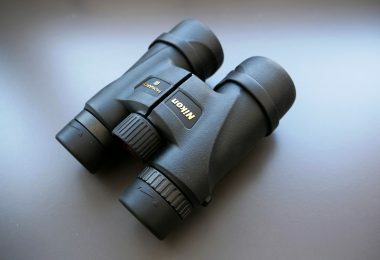 When considering which the best binocular is, a 10×50 may not always be the first thing that comes to mind. But there are several occasions where this binocular proves to be the right device to accompany you. 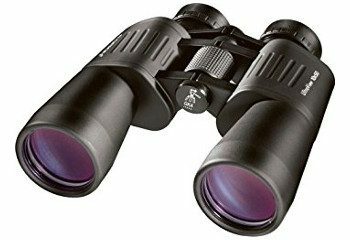 If you are into bird watching, stargazing, hunting or even enjoy the live games, the best 10×50 binoculars offer the most viable capabilities. Simply put, it carries a 50mm objective lens, and it can magnify an object up to 10xs. The challenge here is in the actual picking of the model. With the many available options, you will be in a bind when examining the distinct features of each binocular. Here, we have done the research, just to present you with those brands with exceptional quality. The distance from your eyes to the object is affected by how close you hold the binocular. If you wear glasses, this distance is longer and will, therefore, affect your field of view. A long eye relief is considered better at such times, to compensate for the lost distance. Many people argue that the Porro design is better due to the simple manufacturing process. The difference between the two lies in the path of light where the Porro follows a Z path when delivering light from the object back to the eye. The main advantage of Porro systems is their internal reflective coatings which help in producing a bright image with impressive depth of field. However, they are heavier and sometimes hard to handle. For the roof prism, light travels in a straight line where you’ll identify this type of lens by the H design. They do not have internal reflective surfaces, but they are lined with mirror coatings and are corrected for color aberrations. Roof Prisms are compact and streamlined. They are easy to use, have better imagery and come as completely weather proofed systems. Perhaps the most important aspect in a 10×50 binocular is the field of view. As we said, the eye relief will affect the distance you can see the full image. The possible view distance will change the purpose of the binocular. For example, a star gazer will require a longer viewing distance over the birds’ watcher. As it is presented for every 1000yards, you should be able to predict the correct usage of the binocular you choose. Another crucial aspect of this feature is the near focus. A versatile binocular will not only offer you the longest viewing distance but also a near short focus to view images at close range. The weight of the binocular will guide you on the nature of the device. For the 50mm it may become a bit hectic carrying such weight for long hours. But the way it balances off your body makes all the difference. If the binocular has an open bridge, it weighs less than the binocular with a closed bridge. A compact size will eliminate the fatigue of having it around your neck or chest when you are maneuvering through rough terrain. It should be noted that a chunky device also makes handling to focus tricky. The device may easily slip from your hands when making adjustments. For shock proofing, it’s important that the device carries a rubberized coating and comes with a cushioned case. These elements will keep it in proper condition in case it bumps on to rough places. 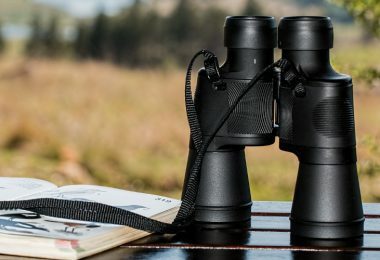 Now that we have gone over what to look for in an amazing pair of binoculars, let’s take a look at some top contenders. Any of these would make a great choice. 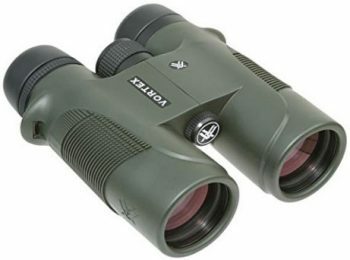 The Vanguard Binocular ED Binocular carries impressive features as high-end optics. The image quality is exceptional, and it is extremely user-friendly when it comes to focusing and acquiring the best view. You’ll love the lightweight but robust construction it carries since it will never feel flimsy in your hands. The exterior is textured to afford you a firm grip on a cold day when you have on gloves. Starting with the low dispersion ED optics, you’ll like that the images never blur to whichever focus you want. It is free of chromatic aberrations so that you can see each detail with clarity. It’s amazing when you get to capture such images in their truest, natural state. 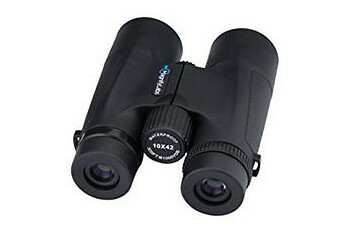 If you’ve been searching for a binocular with the ideal long eye relief, you’ll love the provision by this binocular. Standing at 19mm, the eyecups twist out to give you a good view; hence eliminating strain that comes with squinting over long distances. With a 10X zooming option, one has a relatively large field of view. You can comfortably see out to 293ft for every 1000yards. This means you don’t have to track wildlife too close to get the thrill of nature close to you. If you don’t mind the weather, then this binocular is ready when you are. It can roll in the rain as well as in humid environments. It carries a tight body plus fog proof lenses. With it, there are no limitations to where you can venture since with the 50mm objective lens it gathers up to 90% of light in its path. Related: When working with this binocular, we urge you to get the Vanguard Tripod Adapter to use with your binocular tripod. It keeps the optics safe and stable to afford you a comfortable view. The MagnifyLabs Wide Angle Binocular is the perfect accessory for all the nature lovers out there. Its design is excellent in that it carries the great BK-7 prisms and Porro lens systems. It’s impressive to that there’s no compromise in quality even at the very inexpensive price it comes at. The imaging is on point with the Porro lenses which allow clear, crisp images, eliminating the occurrence of blurry and shaky images. You’ll experience high definition clarity when scanning small insects like butterflies. It has an increased sensitivity to light because of the large objective lens. With the light-gathering set at very high degrees, it is apparent you’ll still see high-quality pictures. It carries a large exit pupil, your eye readily meets the image when focusing on hard to capture targets. Speaking of focus, you’ll like the central wheel which makes you move from near focus to infinity with very few turns. It carries a right diopter control knob to help keep both barrels at the right viewing angle. You can easily zero the settings like the right eye which are replicated to the left eye. It comes with the lens caps to ensure the sighting in is easy and fast with just a few turns. The Vortex Optics Diamondback Binocular is a new revolution from the traditional Vortex Optics Razor model. It is more sophisticated and delivers higher optical quality. Beginning with the low dispersion lens system, you’ll benefit from low optical color defects. This includes little tendency to have shaky images as you view with the high 10x power. The effect is a high-resolution picture, so if you are going to be inspecting tiny details, you can be sure to catch every aspect. The Diamondback is a compact design where you’ll barely notice the 2.8lbs it carries. It even comes with the shoulder strap to make maneuvering through rough ground manageable. 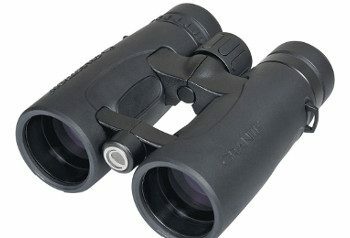 You’ll like the solid build which ensures the binocular resists impact if it bumps into something hard. Nature is not always forgiving so if you are caught up in a storm, this binocular will still function in proper condition. The body is argon gas filled to keep fogging away so no worries about the changing weather when you are out on open grounds. It also has an O-ring seal which acts as a preventive measure for moisture, dust, and debris. As one of the affordable makes in the market, you’ll love how it detects light thanks to the large objective lens. One gets a huge field of view at 283ft for every 1000 yards. It’s incredible with the huge eye relief offered; you can capture the slightest details on a moving target. This applies especially to hunters who have to acquire correct range before zeroing on the aim. The eyecups give a customized fit because they can twist to the direction you wish for comfortable viewing. This binocular gives you more than you would expect for the price. Related: If you are using this binocular for hunting or scouting, we urge you take along the Vortex Optics Ranger 1000 Distance Rangefinder. You’ll benefit from its multicoated lenses and the anti-grip surface for better handling. You can use the binocular strap when you want to use both of them on the field. Also, do not forget to take along the Vortex Optics Tripod Adapter. It can fit on any window or car mount, and tripod stands. 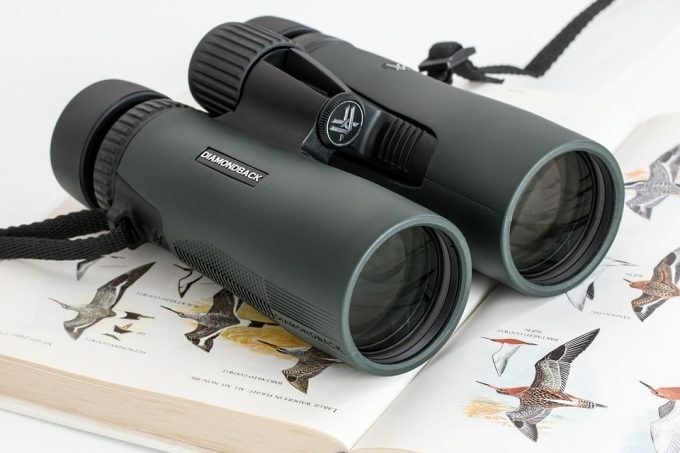 The Olympus Trooper Binocular makes for one of the best options for birding, sight-seeing, wildlife and sporting events. It bears the popular Porro prisms which ensure you gain the brightest view with clearly contrasted images. It has a high light gathering efficiency giving you the advantage of a long field of view with images sitting still on the panel. You get to see images over 600 yards with ease and better clarity. With the Aspheric lenses, this binocular makes identifying objects over long distances simple. It helps in achieving a diffraction-limited focus. This way, you get to have images with their true colors. You’ll like that it prevents stray reflection through the black rubber surface; hence the pictures remain bright with high definition. It comes with a large center focus knob to control both barrels at the same time. This scope is the perfect accessory when you are out in rugged terrain. You’ll like that it has a sure grip surface such that it won’t slip when your hands are wet. It has a UV protection layer that keeps the bad stray reflections from reaching your eyes. It also comes with the carrying case and with the little weight it carries; you’ll have an easy time maneuvering through rocks if you’ll be using it to hike. Related: We highly suggest investing in the Co2Crea Hard Case fit for the Olympus 10×50 Binocular. It is ideal for this device since it is fully water and shock proofed. It also comes with the shoulder and hand strap to keep it tacked on your body in areas where you need to use your hands. The Scenix Wide Angle Binos comes highly recommended for astronomy purposes. It carries a wide-angle view of 7-degrees to give the best experience when watching the milk way. It is specially designed with roof prisms. This design ensures that handling is easy since it is A-shaped it sits correctly on your hands; hence you can focus quickly on long high distances. Even with the long field of view, it’s also easy to see closer objects like wildlife since it has a close near the focus of 16ft. ht at whichever angle you twist the eyecups. 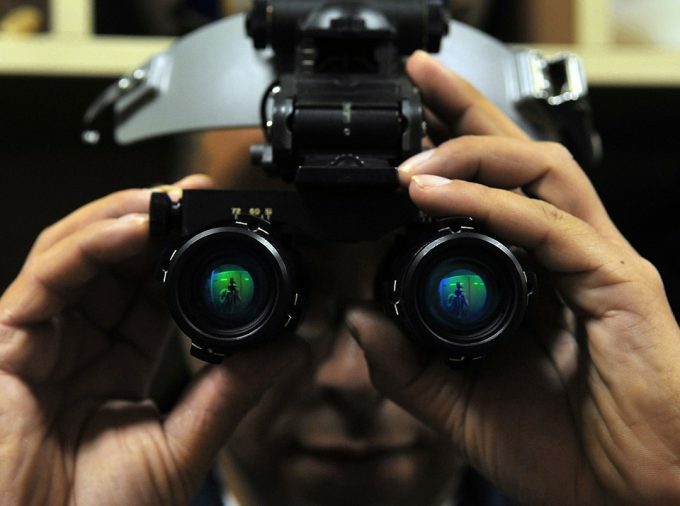 The lenses are also multicoated to ensure the view is always clear and bright. It comes with a ridiculously long eye relief of 22mm. This means you get to keep your glasses and still have the same field of view as the person who doesn’t wear glasses. It is as easy to focus, coming with the diopter placed in the right eye. 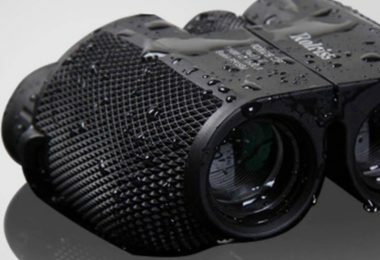 With this binocular comes reliability thanks to the rugged design. It has a solid construction from sturdy metal that ensures it remains impact resistant. It also carries the protective components which include the lens caps and a soft carrying case to protect it from shock. Related: We believe the ORION PRO Pluck-Foam Accessory to store this valuable binocular. It is completely water and shock proofed, with a dense cushioning from polypropylene exterior. For security purposes, it even comes with heavy-duty latches that seal it from debris and dust particle from penetrating to the interior compartments. There’s also an excellent ORION Tripod Mounting Adapter for this particular binocular. It mounts at 4-inches with tripod stands or binocular mounts. 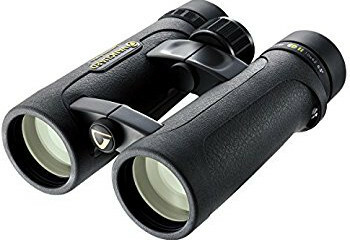 The Bushnell Powerview Instafocus Binoculars represents one of the best designs by Bushnell Binocular series. It features unique elements that make usage simple and efficient. If you like spending some time in the outdoors, then this is the best accessory you could ever carry for improving your endeavors. You’ll like the high definition view presented by the premium quality BK-7 prism optics. It gives preference to all users including glass wearers since it also has a long eye relief and twist-down eyecups. With the fully multicoated 50mm objective lens, one is sure to get an impressive view of a large field of focus. It follows with an Instafocus system to make the whole sighting process fast and easy. It enhances the visibility to greater lengths, beyond what you could ordinarily achieve with another device. It is assisted by a near focus capability to help in viewing smaller objects closer to you like butterflies and insects. 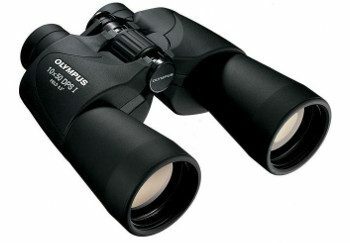 Handling this binocular comes easy with the non-slip exterior surfaces. It explores the popular Realtree camo pattern, fit for open plains and woodland camouflaging. The exterior is enhanced with a rubber layer that provides shock cushion while affording a firm grip even in gloves. It also comes with the neck strap and carrying case helping you navigate the fields without obstructions. Related: If managing the 1.6 pounds on your neck seems tricky, then you’ll want to look at the Deluxe Bushnell Binocular Harness. It explores elastic straps to help with customizing the binocular fitting on your chest. It uses a perforated back panel that carries an extensive formation to balance the device equally on the back. We also urge you to accompany this binocular with the Bushnell Michael Waddell Rangefinder to make your hunting more successful. It also has a camo design; it’s weather resistant and has one button for all operations involving correct range acquiring. The Carl Zeiss Binocular Conquest is the most natural binoculars you can have when you are trying to observe distant objects. The design follows the hand-picked Shmidt-Pechan roof prisms making it light, with a sleek style. It is, therefore easier to hold when focusing on fast moving objects. It is more compact with a weight that is manageable when using a wide neck strap. It maintains a straight line of light to produce bright images. It is then possible to use for both day and night viewing. 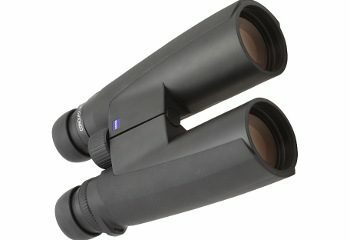 If you are into sports or a big game hunter, then you’ll find the 10X magnification most valuable for precise imaging. It is essential for viewing animals over dark and shadowy backgrounds, helping you recognize the specific objects and the details they carry. With the assistance of ED (Extra-Low Dispersion) glass, the color aberration is not to be expected on the high magnification. You’ll like the sharp and definite view enabled by the anti-reflective coatings on the lenses. This means they are dependable in light gathering and protecting them from scratches. Some users indicate it prevents them from having a firm grip since the hands do not wrap around it completely. However, this design keeps the compartments solid in one piece. It comes off as a robust piece with the ability to withstand high usage and take on bumps without losing nuts. It is deemed to serve you for a lifetime when working in proper condition. Related: Even with the lightweight, handling a 50mm objective lens will give you some tight muscles over time. For that, we suggest you utilize the Carl Zeiss Cross Harness to help you carry the binocular comfortably across your chest. The straps are wide to not dig into your skin, and the back is also wide to release some of the weight exertions to the front. It uses a quick release fastener for easy wear and removal. The Celestron Granite Binocular comes packed with the best visual features for a fun time outdoors. It utilizes BaK-4 Prisms to produce near perfect imagery with internal dielectric-reflective layers for brightness. This system also has phase coatings which are crucial for affording highly contrasted images. It carries the popular ED extra low dispersion glass, responsible for creating full-color fidelity plus distortion-free images with the least possible curvature. The structure explores an open frame to keep the hands in the correct position when focusing. With the metal focus knob plus the diopter ring, aligning the barrels to your eyes is fast and precise. Even better, it comes with twist-up eyecups to customize your fit. This means with the assistance of the eye relief; you can achieve sharp focus whether you have on glasses or not. The long eye relief does not affect the field of view since it’s able to balance the longest distance between your eye and the focus of the field of view. 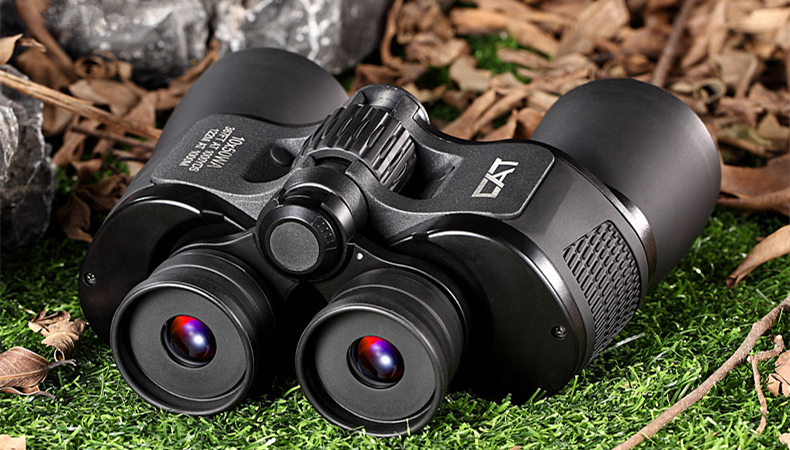 The Granite Binocular features a magnesium build with rubber armor. It ensures a sure grip with the help of the thumb indentations that help you keep the device correctly in your hands. It is also nitrogen purged to keep it completely waterproofed and fog-proofed. The metallic parts all boast arsenic and lead-free construction, meaning it is super eco-friendly. It is intended to last a lifetime so you should expect it to perform correctly when proper maintenance is undertaken. Related: This model is also compatible with the Celestron Binocular Tripod Adapter. It is useful with both Roof and Porro prisms. You can now be sure of stable images since it keeps the binocular from shaking when viewing. You’ll also like carrying the instrument with the Celestron Binocular Harness. It has a customizable fit for different body frames. It is also quick to put on and remove, with the clips availed. The Tasco Essentials Zip Focus Binocular offers value and performance at a very affordable price. You’ll love the beautiful design, accompanied by the hand grip style meant to protect it from slipping on rugged surfaces. It has a construction from high-quality materials which add to its longevity properties. 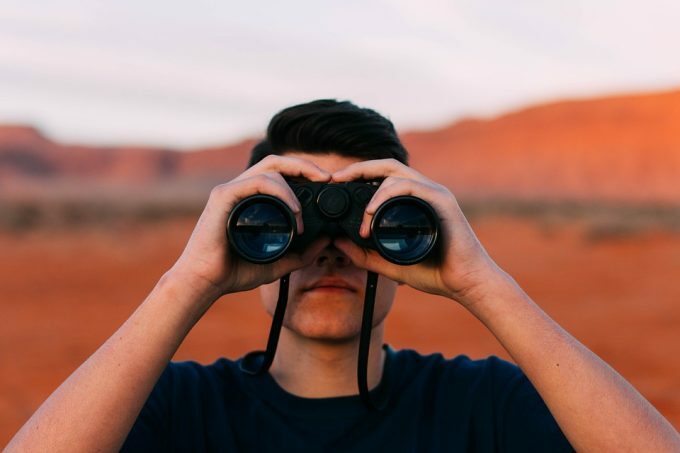 With a rubber exterior, you can tell the binocular will stay put in rough terrain and in areas where using a metallic device would create attention through the noise in handling. This device utilizes BK-7 prisms popularly identified with Porro systems. It has a distinct light gathering design that makes the image smooth and with better clarity. This style ensures you have sharp focus, complete with high definition and contrast. It comes in handy when focusing on hard to capture targets in thickets and poorly lit environments. With the support of the large objective lens, you can always depend on it to have bright images before dawn or after dusk. It is, therefore useful as a hunting accessory. The reliability does not stop with the lens system since it carries a wide field of view. One can clearly see out to 367ft over every 1000 yards with every detail you’d like to seize clearly defined. Thanks to the fully multicoated lenses, you can be sure of exceptionally bright images without the occurrence of stray reflection on the surface. It receives better utility when used for hunting purposes. 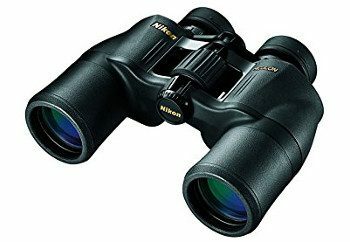 The Nikon Aculon A211 Binocular is another affordable and high-quality device. The design is ergonomic with the handling and an easy adjustment system. The visibility is enhanced by the multicoated eco-glass that ensures it gathers light to brighten up the images. Complemented by the BaK-4 Porro style system, it eliminates the probability of blurry images since it enhances color fidelity with virtually no alterations to the original picture. 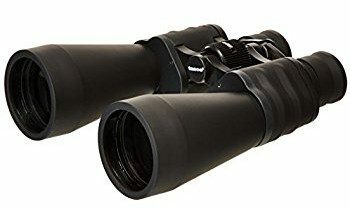 This binocular is one unique piece, having been able to balance out between the magnification and the field of view. As we know, a large magnification results in a small field of view. However, with this device, it enhances the viewing angle due to the proper eye relief allocated to it. For the objective lens, it suggests the ability to use it in low-lit surroundings. 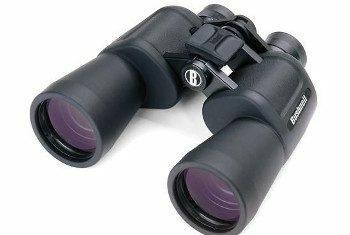 The performance presented by this binocular is enhanced by the sturdy, durable construction. You can count on it to work in all weather conditions, owing to the complete weather sealing. It also has a rubber armor to ensure you have a non-slip grip for all the time you’ll be making adjustments, whether you have gloves or not. It is the lightest in weight such that you can have it in your hands for long hours before fatigue kicks in. Related: When you are out in dusty environments, we urge to bring along the Nikon Lens Pen. It retracts into a compact size after usage so that you can carry it comfortably in your pocket. It uses a non-liquid-compound that will never diminish the quality of the lenses. It can quickly remove fingerprint markings and dust specs from this binocular or any other type of optical lens. 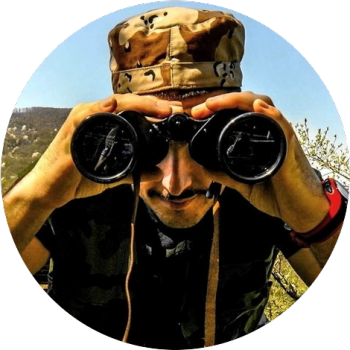 We hope the above list is as informative as possible in your quest of acquiring the grand 10×50 binocular. You can explore the different features presented by each model as they all offer a unique design. 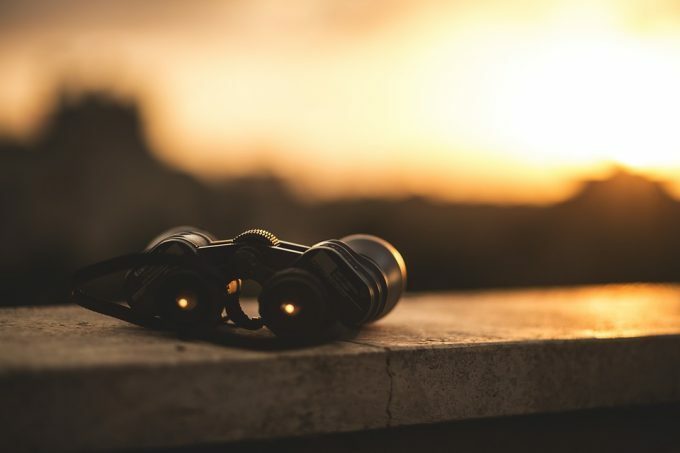 Since the binoculars world brings a very exciting aspect to our lives, it’s best if you identify those requirements that top your list when shopping for one. The pricing is not always a reflection of the quality but if you can splurge a few dollars, go for it. Lastly, it is your turn, do you have experience with any of our choices? If so, we’d love to hear from you about your thoughts. You can let us know in the comments section below.